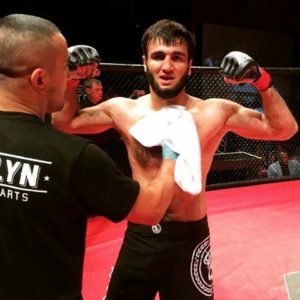 Nekruz Mirkhojaev (2-0) will be challenging Frankie Buenafuente for his 145 lb championship belt, September 23 at the Tropicana Showroom in Atlantic City, New Jersey. Fighting for MMA pioneer and former world kick boxing champion, Louis Neglia, at the best regional show in the country, is a big deal. Well over 100 fighters have gone on to the UFC after honing their skills at Ring of Combat. 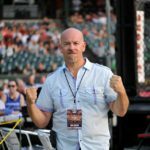 I talked to the owner/head trainer at Brooklyn Mixed Martial Arts, Terry Gold to ask him about his thoughts on the upcoming Ring of Combat 56 co-main event battle between his fighter and the defending champ Buenafuente. Gold has established a great training facility in the heart of Brooklyn, New York, where he currently has a dozen or so fighters actively competing. This is an excellent opportunity for Nekruz and Brooklyn MMA to make a mark and get their name in lights. Mirkhojaev has a tough task as Buenafuente is on a roll at 6-2 with 5 straight wins including capturing the belt in his last fight against Jose Mariscal. Gold was gracious to Frankie and the mixed martial arts community.